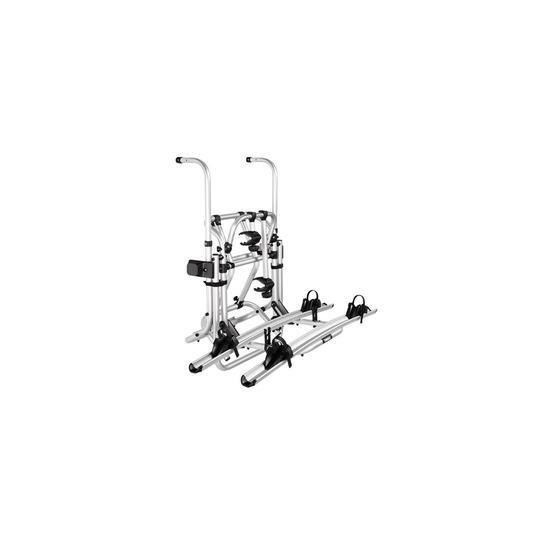 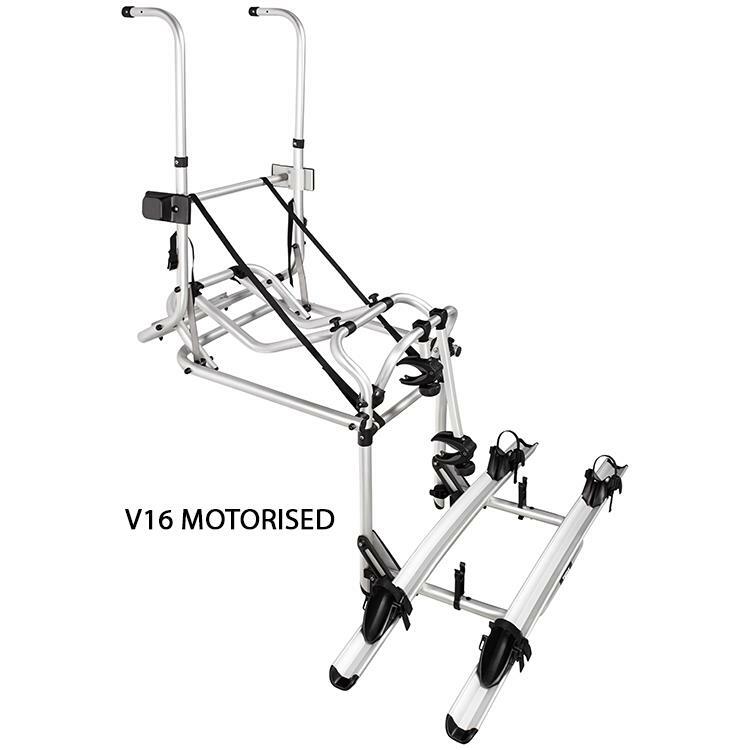 The Lift V16 Motorised Bicycle Carrier from Thule Sweden is designed to mount to the rear of a caravan or motorhome. 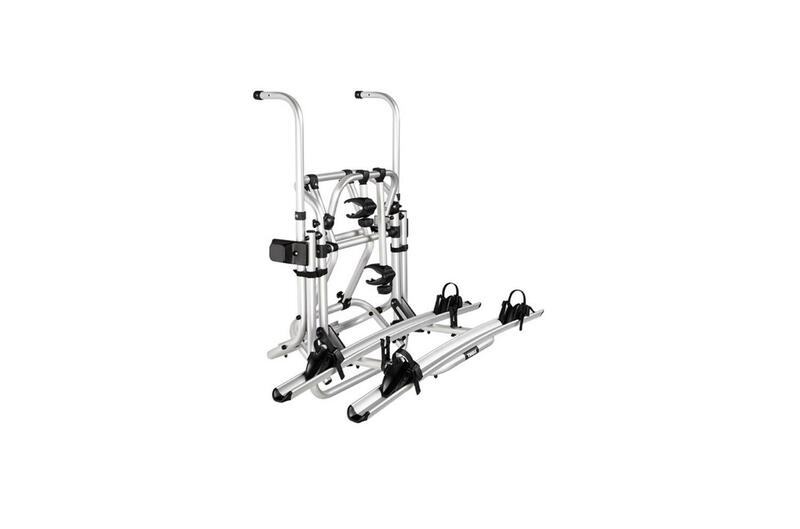 By default, the carrier supports 2 bikes but, can support a third with the purchase of an additional rail kit. 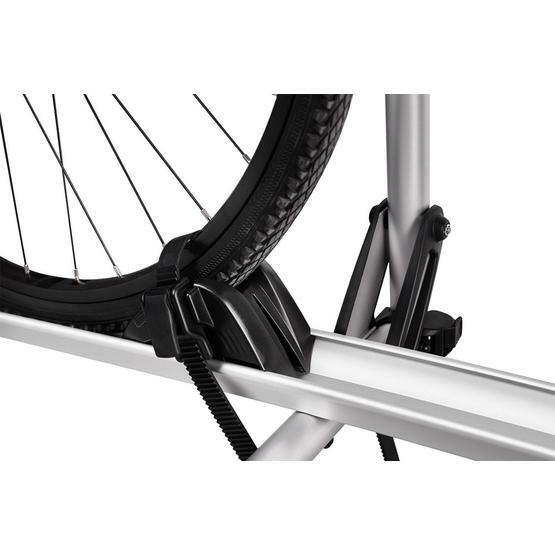 Featuring a motorised 12v operated easy access platform, the Thule lift can bridge a distance of 70cm in height and in its lowest position, the platform makes loading and unloading your bikes simple! The Lift V16 Motorised Bicycle Carrier comes with two bike rails and each featuring two adjustable wheel holders; depending on your bikes’ wheel base, the holders can be moved to correctly align. 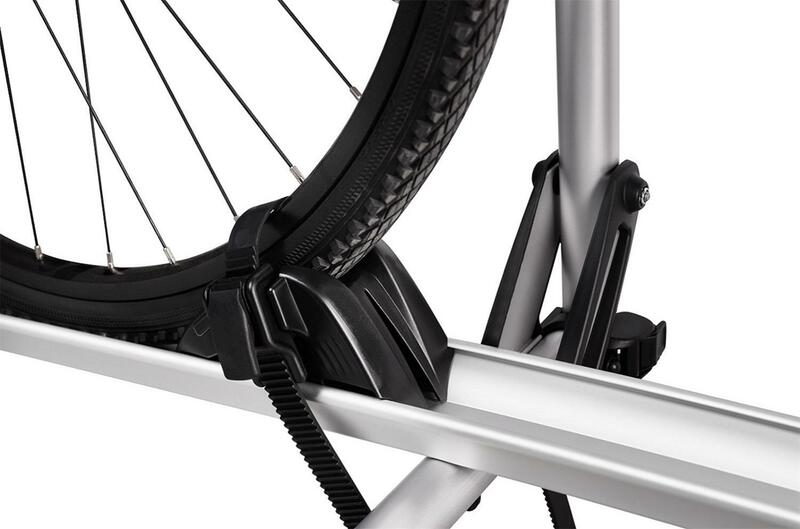 Once you have the wheel holders in place, the stretchable rubber ladder bands will secure and lock the wheels in place. 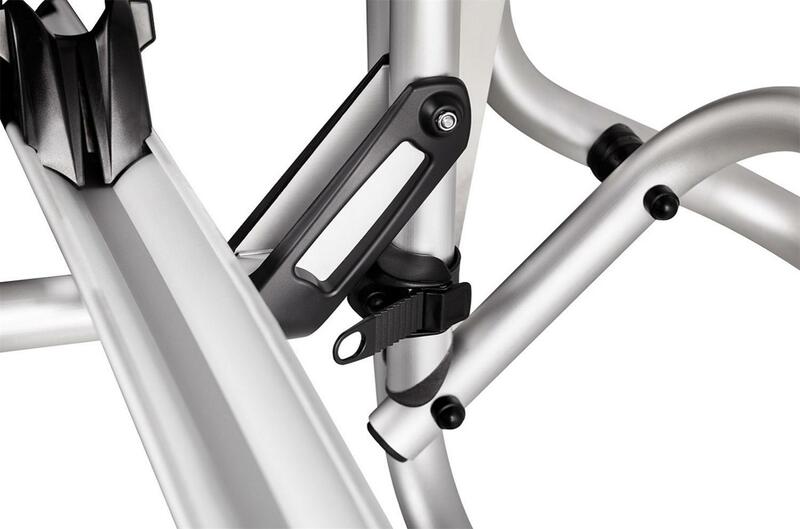 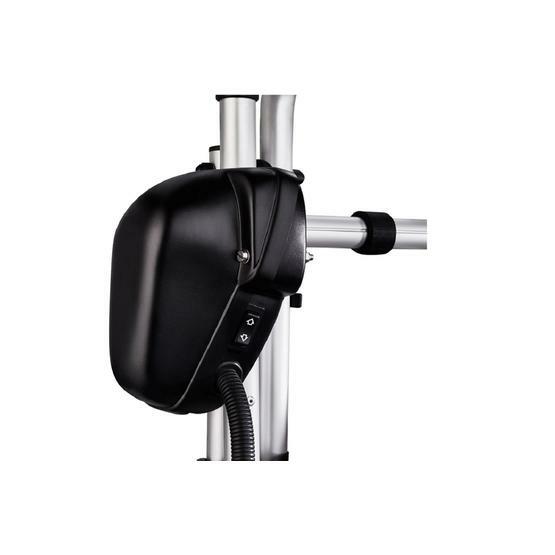 The bike frame holders rest against the bikes and feature soft touch material to prevent marking your bikes; to secure in place, the provided Thule pump buckles provide the tension required. 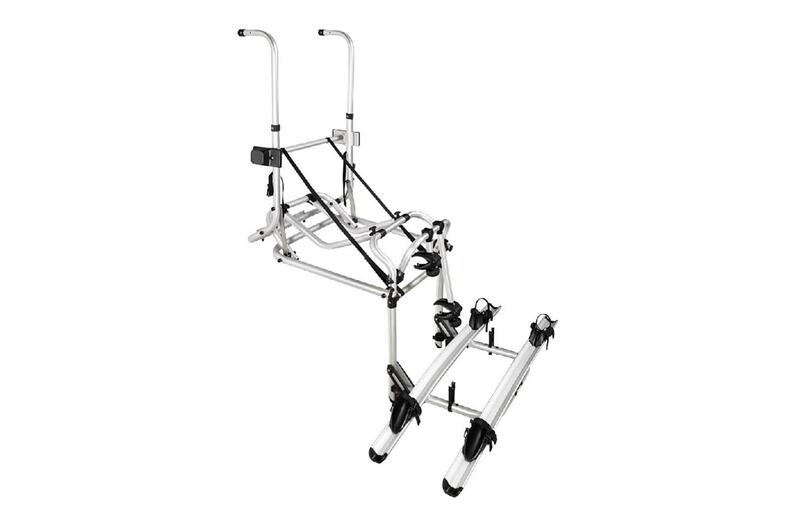 Replacement for the Omni-Bike Lift, Motorised version with motor (12v). 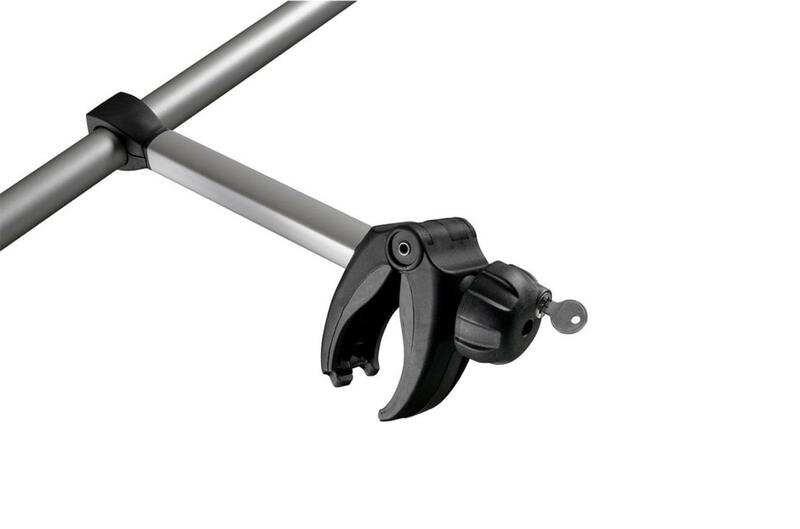 After lowering the bike rack into its lowest position, the bikes are easily installed and fixed in the bike rail. 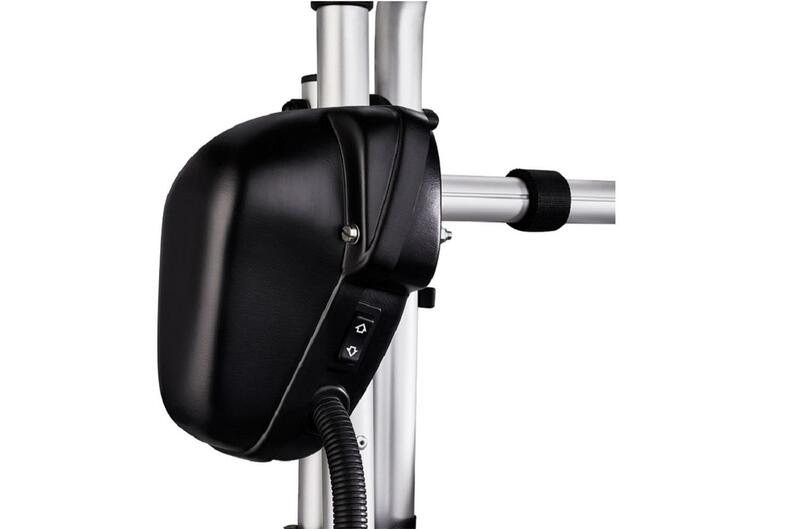 Just by pushing one button or by using the hand crank, the bikes are brought to their normal level. 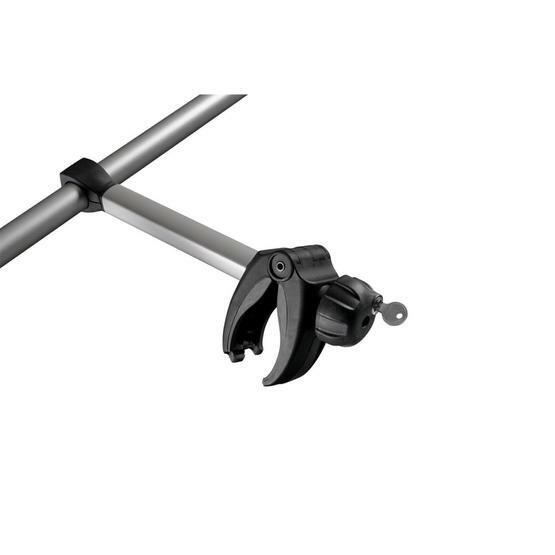 Use the straps to fasten the rack. 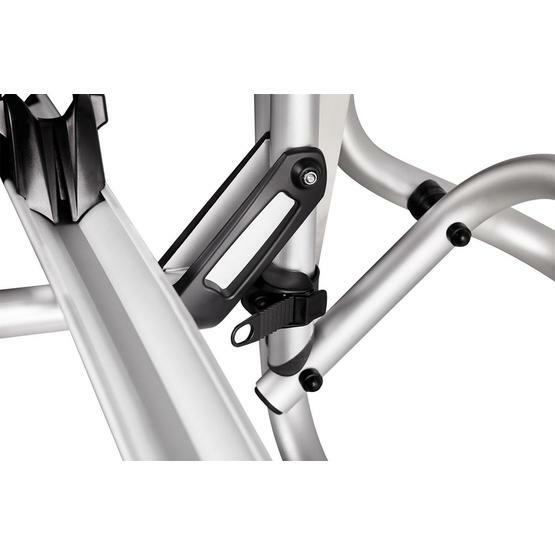 The frame is made of anodised aluminium and all fixation parts are rust proof. 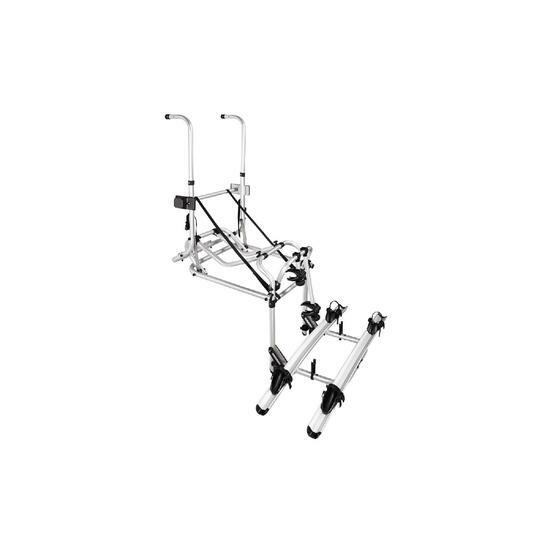 Extension for three bikes available.